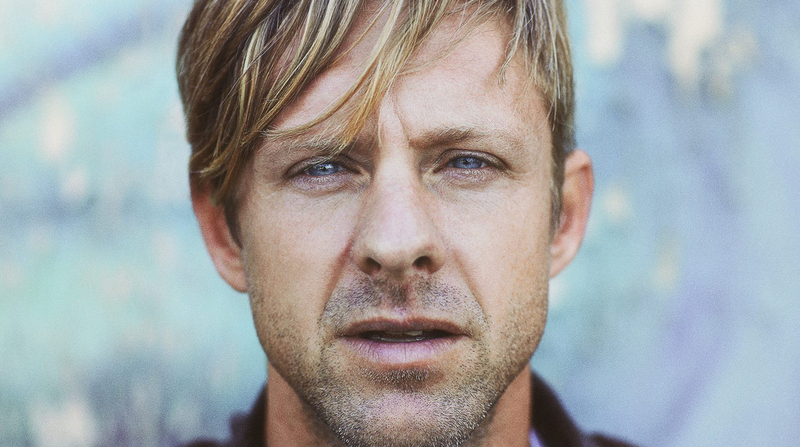 Jon Foreman discusses his new solo undertaking The Wonderlands, the challenges of writing a song for each hour of the day and working with 24 different producers, why embracing the chaos in life is important, and what’s next on the horizon for Switchfoot. Hey, what’s up? So you’ve been over there for, what? A week now? Yeah, we got another week to go and then headed home. Are these big shows? Small shows? A little bit of everything. Yesterday was a pretty huge show in a crazy huge barn in Switzerland called Springtime Festival. Today is in an old classic rock ‘n roll club. It should be really fun and packed. Yeah, it’s been a blast. So this whole Wonderlands thing, you’ve talked about it kicking around in your head for a while. I’m curious, when did this start to formulate? Was this something that was in the back of your head when you were working on Fall/Winter/Spring/Summer? No, this came into being afterwards. I think it might be the fruition of it because it’s a little bit more of an extensive version of that landscape. I think that paved the way for what we’re doing now. A couple weeks ago you wrote a piece for The Huffington Post entitled “Chaos vs. Control,” which talked a little bit about the meaning behind The Wonderlands. Can you explain more about this chaos battlefield that these songs were written to represent? I think we are continually trying to order our lives and match things up against a clock, put things in boxes. I think that’s why I enjoy Sudoku, crosswords and things like that [laughs], because there’s a right answer. You can actually put order into a world, whereas real life isn’t like that. Real life there is no control over death. As much as there’s a semblance of control, we live in a world of chaos. We’re right on the bubble of chaos at all times. I think you can either fight it or you can lean into it. For me, I probably do my fair share of both. With songs, I’ve found some of my favorite moments in music, whether it’s songwriting or production or performing, come from chaos and things I couldn’t have planned. Last night is a great example. There was a girl that was in a wheelchair. The crowd picked her up and crowdsurfed her to the front of the stage so that she could see for the last song. It was incredibly moving and one of those things you could never plan. If somebody said that they were going to plan to do it, it sounds like a horrible idea, you know? It’s very high risk. You think of safety and all of these things, but to see the look on this girl’s face and how stoked she was to be right at the front, crowdsurfing in a wheelchair. For me, that was my favorite moment of the entire trip so far, and it couldn’t have been planned. It’s about live performance, especially with this solo project. It’s been about learning to embrace chaos. As far as this idea of each song representing a different hour of the day, how did you come up with that and then match each song for a time period? Music has always been a landscape for me to find meaning and to be able to reflect on the real world from a safe distance of poetry and metaphor and melody. When I thought about the idea of creating a world, I thought let’s start by tracing the course of a day of darkness and light. The hours of a clock become the backdrop for the narrative of a song, specifically the light and the dark that’s present at that time of day. As far as which song fits where, some of the songs were really obvious. Some had actual specific hours of the day that were mentioned in the song or that song was written about that time of day. Other ones are a little trickier. “Terminal,” for example. I wanted to start this whole project and end the project with death in mind. I feel like that only intensifies the journey. It makes me thankful for what I have while I have it. The first song and the last song are about the end of the ride, as far as life and death is concerned. What time is “Terminal” supposed to take place and is it supposed to move chronologically from there? Yeah, so “Terminal” would be 11 o’clock, and then the last song of the project will complete at 10 in the morning. At the end of this whole thing, I’m going to do 25 concerts in 24 hours and play every one of the songs in their proper time slot. I’m going to have a bunch of friends come out and play cello and trumpet and percussion. Maybe play with a mariachi band, play a wedding, play on the beach, play at my old high school, play all the clubs that I grew up playing. I think it’s going to break the Guinness Book of World Records, too. That’s just kind of a sidebar. It’s one of those things where I’m excited about seeing where it takes us and taking these aftershows to their logical end, where you can’t do anything beyond that. Are you going to try and film that? Yeah, so I’ve been talking to a couple friends of mine who have been excited about filming it. Just the whole thing is really interesting. Do you have multiple sound systems? Do you have different bands that you join up with and meet up with for different shows? How do you film it? What kind of cards do you use for your cameras? What format? The whole thing’s really fun to think about, but also kind of a nightmare [laughs]. I think that as long as everyone embraces the chaos, it could be a really special moment. Another interesting thing you did with this is you worked with 24 different producers, one for each song. Where did that particular idea come from? When it came time to pull all this together into one thing, did that make things more difficult or easier? Oh yeah, that’s a good question. The way that idea came about is I love collaborating with people. I love having a sparring partner. I feel like with music, I’m the kind of guy who likes that friction. I want somebody to be hitting back with their own musical muscle. I don’t want to be making music in a box by myself, do you know what I mean? So that’s part of it, and then the other part is how do you make an album while you’re touring? Switchfoot is my day job, so I’m not home as often to just hole up in a studio and make a record. I thought, “What if I did my part in backstages around the world and then sent these songs to different friends of mine in different bands?” So that’s where this whole concept came from. Pulling them together at the end was a real challenge, because as much as you have references that you think we all know what this sounds like, everyone’s still pulling from their own ideas. They’re taking these songs to different places, which is a beautiful thing and that’s what you want, but then to make a cohesive musical statement, that becomes a challenge. That was probably the most challenging thing, to try and make 24 songs sound different but similar from all these different producers. The first EP is out already, which is Sunlight. I know you’ve often said it’s difficult for you to write from a light perspective or from a happy perspective. Was this one of the more difficult things to knock down on this project? Yeah [laughs]. We recorded, I think it was 35 songs, and let’s just say none of the songs that were cut that didn’t make the project were happy or light songs [laughs]. The good thing about approaching it with time being a backdrop is that you can still approach a serious song like “Patron Saint of Rock and Roll.” That happens in the daylight, but it doesn’t necessarily mean it’s a light topic. I was curious about that song because it seems to have more of a story behind it, with you taking on some of the hypocrisies in the Church. We’re all guilty of thinking one thing and doing something else, myself included, so there’s no finger pointing at anyone without pointing also at myself. I think the danger of any religious system, Christianity included, is the idea that you could begin to say one thing and do something else and still feel good about yourself somehow. Somehow you’re ignoring the problem within and without, and somehow justified about your ignorance. For me, I find with my own personal faith that the best places I am in are not places where I feel like I know everything and I am somehow better than the rest of the world. I find my best places, as far as my own personal soul is concerned, are those places where I admit my ignorance and admit my inabilities. That’s a plea for admitting our own mortality, admitting our own human side of us, right? What is the Church if it’s not helping the broken, the poor, the homeless? What is the Church if that’s not where our money and our time is going? As far as writing solo versus for Switchfoot, do you feel more of a freedom to get more in-depth with your solo stuff that maybe you don’t necessarily have with Switchfoot? With Switchfoot, you’ve got 12 songs. These are 24 songs that would never have made a Switchfoot record. I see Switchfoot as a megaphone. It’s hard to sing a painfully honest song when you have a half-stack behind you, an electric guitar and strobe lights [laughs]. You want to take the world. You want to put your fist in the air, whereas these are broken songs. I’m assuming some of these songs were written during various Switchfoot records and stuff. What was the timetable like for these songs? Are there songs on here that are pretty old? Yeah, a ton of them. You can’t subdivide yourself and say, “OK, this is who I am for this. This is who I am for that.” So a lot of these songs were written while writing for a Switchfoot record. Some of them go back 10 years ago, where I wrote a song and it didn’t fit on any records up until now. Finally with the scope of light and dark that is included in this record, they finally find a home. One other song I wanted to ask about on Sunlight is “All of God’s Children,” which I believe is from the Vice Verses sessions and you’ve been playing acoustically for a while now. Can you talk a little about how that one came to be? That one was inspired by religious wars. You’re in Vienna and Europe has plenty of history with religious wars and people killing each other in the name of God. The irony is a lot of these religions that are at war claim Abraham as their father. A lot of these religions claim the same ideals of peace and justice and honor. I began to think what in the world would God think of a human race that’s killing each other in His name? How does He see us underneath these wars, beyond these horrible injustices that we commit to each other day in and day out, week in and week out, year after year? If we could see the world like that, maybe we would see each other as brothers instead of enemies. So the next EP is Shadows, which I’ve been able to hear a couple times now. It’s definitely a little different than Sunlight, with more varied instrumentation and more percussive stuff. What was it like finding the sound for that one? It’s so subjective, light and darkness. For me, I just pictured myself at that time of day. What are the instruments that I hear in my head? Then I try and pick who I know plays those instruments. “Good for Me,” for example. That one I employed a bunch of people. Charlie Peacock, who produced the Civil Wars and produced a couple of our records, Andrew from Grouplove helped me produce that as well, and then John Painter from Fleming and John played horns. I thought “Fake Your Own Death” was a real interesting song too, because you have the clock in the background of the verses and then you have the clarinet solo in the bridge. So Darren King from MUTEMATH produced that. That’s him playing the drums, and then that is Jeff Coffin from Dave Mathews Band and Béla Fleck. He’s an incredible saxophone player, but he’s playing bass clarinet. I love bass clarinet. He played on a bunch of my Seasons EPs, so I employed him on this one, too. I’m also drawn to the cello, but it felt like as the shadows begin to creep into the day in a song about death, the bass clarinet has this resonance and has kind of an eerie quality to it. It felt like it was the right match. As far as lyrically for that EP, it’s a little eerie and haunting at times. You definitely talk about mortality on a few of the songs. What was your mindset on writing for Shadows? In some ways the shadows can be in my head more frightening than the darkness. With darkness, you’re almost accepted to the fact that it’s pitch black, you can’t see and there you are, whereas with shadows there’s still a little bit of light. You still might be holding onto it, you know? Again, these are such subjective things. I feel like with shadows you’re still feeling the tension between the light and the dark, and then with the darkness you come to this resignation where you’re just at that point hoping for the dawn. One song on there you’ve been talking about is “Your Love Is Enough,” which you’ve described as a sequel of sorts to “Your Love Is Strong.” How did that one get written? I’ve written a bunch of songs – “Let Your Love Be Strong,” “Your Love Is a Song,” “Your Love Is Strong,” “Your Love Is Enough” – they’re all dealing with this topic of grace and this transcendent goodness. The idea that somehow I’m still alive, somehow I’m still breathing. To me, it’s kind of the anti-entropy. One of the laws of thermodynamics says that everything is moving towards a lower state of order. If we have a bend towards chaos, then what is it that brings us back together? What in the world keeps a country together? What in the world keeps a marriage together, a friendship together, when it feels like even the laws of physics are pulling our bodies apart into lower states of order? For me, whatever you want to call it – grace, transcendent love – I’m fascinated by that topic. “Your Love Is Enough” is another one of those songs that’s trying to wrestle with that. I write about the things I don’t understand, and that’s one of them for sure. The final two EPs then are coming out at the end of the year, Darkness and Dawn. What can we expect from those two? I’m hoping to continue in the same vein. I want them all again to feel like they’re all part of the same landscape. That’s the challenge, right? Keep them in the same landscape but be dramatically different from one EP to the next, or one song to the next. There’s some really fun stuff that I’m excited about. Cubbie Fink from Foster the People did a song with me. Taylor York from Paramore did a song. Darkness certainly wrestles with death some more, but I think Dawn comes out and talks a little about love, about what we have as humans here on the planet is a gift. Then the last song on the record is a song called “Before Our Time,” talking about how I want to sing before my time runs out. That’s really what this project is about. As long as I have a voice, I want to be singing. Does Darkness get pretty heavy? Yeah, it has to, right [laughs]? I’m debating. I did two songs with Taylor from Paramore. One of them is talking about a girl in a dark place and the other one is a song called “Grave Like a Telephone,” talking about the death of a friend of mine. The question for me is how dark do you really want to go. Who wants to listen to darkness, and how dark do you want to go? Again, those are the songs that I’ve got too many of. That’s the question. When you’re going to be touring this record will you be bringing additional musicians out, since there’s so much instrumentation on these records, or is it still going to be just mainly you? For these shows I love to bring my friend Keith Tutt, who produced “Caroline” and was really instrumental on the first project as well. He plays cello, among other things. Then I’ve used a couple other people. Aaron Redfield, who plays with Greyboy Allstars and the Bird and the Bee. He’s been my friend for years, and he’s been playing percussion with me. I’ve been trying to get as many people as I can for October 24, where I do the 24-hour show, so that there can be different people at different places. We might play a show with the pipe organ downtown in San Diego, which I think is one of the largest outdoor pipe organs in the world. Then the next show could be with a youth string orchestra or something like that. There could be so many different options. A lot of people who played on this, I’d love to get them out and have them be a part of it. The question is they’re all touring musicians. I was talking to Karl Denson last night, seeing if he could make it. He’s in Greyboy Allstars and plays saxophone for the Rolling Stones, so he’s got his day job, too [laughs]. I’m just going to see who can make it and then make it a party. Yeah, yeah, I know. It just keeps popping up [laughs]. So is there another concept you’re thinking of now that you want to tackle next? No. I think if anything I would continue The Wonderlands concept. Maybe this is the light and the dark. “Let there be and there was, light and darkness.” For me, this is kind of like that statement. From that, I don’t know where you go, but I do like the idea of continuing in this same vein for a little while, in this world. As far as Switchfoot goes, you’ve got the summer tour coming up with NEEDTOBREATHE. Is that going to be the closing chapter on Fading West, then? I believe so. Yeah, that was quite an adventure, being able to bring that over here to Europe. We’ve been around the world a couple times since we made it and it feels good to do another lap of the U.S. Actually, I think during that tour I’m going to be playing a few aftershows at bars and coffee shops after our set. So that will be fun, too. Are you pleased with how Fading West turned out and that whole thing? I thought that was really cool how you rolled it out, with that tour and everything. Yeah, it was unreal. It was incredible. It was a journey unlike any we’ve ever been on. I’m really proud of where it went. I don’t know that we’ll ever do it again, but that’s the way life is, right? Have you started thinking about the next Switchfoot record at all? Yeah, we’ve been working with Mike Elizondo. Not really working, though. We’re trying to play and not call it a record yet. We worked with Steve Lillywhite this one time and he said his job is to make a musician pick up his instrument like it’s the first time he’s ever seen it. So that’s kind of the goal. How do you approach this thing that you’ve done your whole life and enter in like a child with those same eyes of wonder? Where does that take you? We’ve just been having fun, kind of being a garage band and playing rock ‘n roll like we did back before I dropped out of college [laughs]. So you’re wanting to switch things up a bit on this next record, then? I think every time you go through the process of making a record, first you have to decide is this something you still want to do. Do you have something you’re passionate about saying? What’s the meaning? What’s the purpose behind these songs? For us, we are one of the few bands who really still love each other. We really love being with each other. I think that’s crucial. A lot of bands drift apart. There’s little rifts that become big explosive barriers between friendships. I feel really fortunate that hasn’t happened. We’re still passionate about, not only the music, but our friends and making sure they’re taken care of. As far as that goes, the music will follow along. For me, you just play to your passion. Play to the things that give you the most joy and forget about what people are going to say about it afterwards. That’s where it’s got to start. So I’ve got one random Switchfoot question. I’ve always been a big fan of the Oh! Gravity. record and that seems to be perhaps the most overlooked album that you’ve put out. You don’t usually play much live from it anymore. I’m curious, what would you say your relationship is to that record now? I don’t know. It’s funny because you never go back and listen to an album, you know? It exists, and then you’re already thinking about new music or a new version of the song for live, or whatever it is. So, I don’t really know. There’s not a record that we’ve made that I’m not proud of. That was kind of a strange time of life. I mean, what time of life is not strange [laughs]? But that one and Nothing Is Sound were kind of dark periods for me personally. Maybe that’s why I don’t like playing those songs [laughs]. I haven’t really thought about it. I guess we’ll play a few songs off of those records, but it’s rare. I’m glad you like it. I’ve always wondered, too, about Nothing Is Sound. Was that influenced at all by Ecclesiastes? Yeah, absolutely. It was definitely trying to figure out how to talk about meaninglessness. At that point, we were in this uncharted territory where we had never dreamed of being. It was as meaningless as everyone says, but yet somehow that’s what you’re aiming for as a band. How do you sing about that? How do you find words to talk about it? Then how do you market a record that’s telling people don’t buy anything and everything is meaningless? That was a fun ride [laughs]. Wrapping things up, from the time you came up with the idea for The Wonderlands to the time that you’ve finished it now, what do you think you’ve learned or taken away from this whole process? Hmm, I wish I were more organized. That’s the first thing. When you’re in backstages and sending files back and forth online between producers, and you’re looking for that one file you recorded in St. Louis. You can’t find it, so you end up having to do it again. Those kinds of things can feel really discouraging, so that would be the first thing. I would buy a new hard drive, and try and back it up every now and then [laughs]. That’s the trying to embrace order side of things, so then the other side of things would be looking for ways that the chaos can be beautiful. I’m always trying to find those things. Even when you lose files, I always think in the back of my mind, “OK, I recorded it already. What can I do differently that can beat what I had?” Because I don’t want to just do the same thing. So I guess embracing your mistakes and moving forward would be the other lesson. Craig Ismaili photographs Switchfoot in Philadelphia.